KALMOR is looking for overseas agents all over the world. If you are interested in our products and business, Please contact us anytime! We are looking forward to your offer! We will reply within 2-3 business day. By using electricity to break O2 molecules in the air, Levion creates the oxygen cluster ions (O2+ and O2-) to oxidize any odorants existing in an indoor space. It also eliminates the bacteria and germs. In contrast to the reported risks from using ozone, the biggest advantage of Levion is that it is totally safe and risk-free for humans and animals. Indoors such as offices, hospitals, garbage rooms, animal laboratories and facilities for elderly care are ideal places for the Levion. ZEOGAIA is a deodorizing filter made of clay minerals with inorganic fiber-reinforced ceramic material. 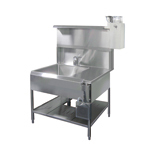 It is especially efficient for the purification of exhaust gases expelled from restaurant kitchens. Oil mist and other odorants are immediately absorbed on contact with ZEOGAIA. As odors are being neutralized, the resulting gases are gently released with low concentration. With the advantage of this gas-recycling functionality, ZEOGAIA ensures a longer lifespan than any other absorption filter. When it comes to absolute odor measurement, it is necessary to be completely odorless. The Microgel is a fragrance-free deodorant that can solve various odor problems worldwide. 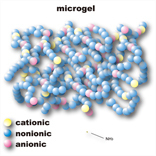 Based on high polymer chemicals, the cationic and anionic ion in Microgel can catch both acidic and alkaline-based odorants. This original technology achieves up to 70% deodorization on average. Between 2002 and 2016, over 400,000t of Microgel have been shipped worldwide. The most popular application of Microgel is the “Spray System”. The Spray System is ideal for low to middle concentrations of odor. 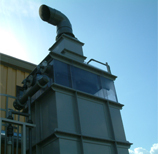 From small to huge air volume, the Spray System is available for any situation at low costs. 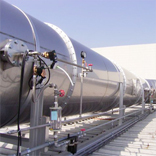 Spraying Microgel within an exhaust duct can deodorize the odorants in the exhaust gas prior to its exhaustion. With our distinctive spray technique, the custom designed Spray System will solve all your odor problems. The KALMOR Scrubber is a Microgel scrubbing system that cleans out odorants in the washing tower. Having high-efficiency of gas-liquid contact, this system is ideal for middle-high concentrations of odor with a removal rate of over 90%. In addition, usual chemical washing system needs many kinds of chemicals to remove odor, but this Microgel scrubber system needs only one Microgel. 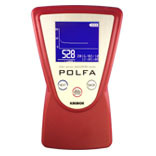 The new type of odor sensor “POLFA”. It is not too much to say that Odor sensor is synonymous with our business.Because our business started with quantifying the invisible odor using “Odor sensor Shiguma”(previous model). This “POLFA” has been developed as next generation of “Shiguma”. The　POLFA can measure various odor gases, and this property is big innovative in odor measurement industry. POLFA has been installed many useful functions and improved its usability based on our long experience. One of the improvements, POLFA can not only displays measurement value, but also records it at same time. So, POLFA is now available for continuous measurement. The Propastop are a series of 2 unique types of fungicide specialized for various purposes. When untreated mold and mildew are allowed to flourish, it can cause considerable damage to buildings and can be potentially dangerous to one’s health when inhaled. 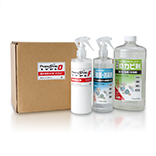 The Propastop are capable of removing the fungi (by denatured ethanol) and preventing the fungi from future reattachment. Moreover, they can eliminate odors. Combined with local exhaust ventilation and Levion, the KALMOR Hybrid system can guarantee low densities of formalin to less than 0.1ppm. 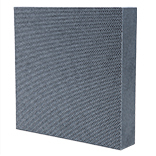 With a highly efficient method of absorption, the air volume of each local exhaust ventilation is extremely low, greatly reducing the cost of air conditioning. 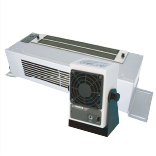 All Hybrid systems are made-to-order to fit every type of installation. The utility of the KALMOR Hybrid system is not limited only to formalin, but is also effective on organic solvents like xylene.